In 2008, the editors published a well-cited journal paper arguing that while scholarly work on media representations of environmental issues had made substantial progress in textual analysis there had been much less work on visual representations. This is surprising given the increasingly visual nature of media and communication, and in light of emerging evidence that the environment is visualized through the use of increasingly symbolic and iconic images. 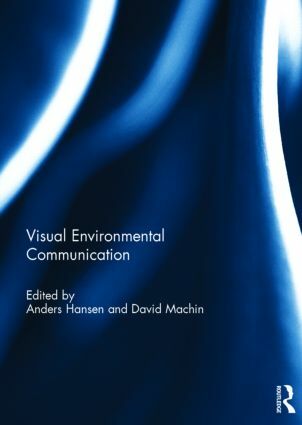 Addressing these matters, this volume marks out the present state of the field and contains chapters that represent fresh and exciting high quality scholarly work now emerging on visual environmental communication. These include a range of fascinating and often alarming topics which draw on a variety of methods and forms of visual communication. The book demonstrates that research needs to think much more widely about what we mean by the ‘visual’ which plays a massive yet under-researched role in the politics and ideology of public understanding and misunderstanding of and the environment and environmental problems. The book is of relevance to students and researchers in media and communication studies, cultural studies, film and visual studies, geography, sociology, politics and other disciplines with an interest in the politics of visual environmental communication. This book was published as a special issue of Environmental Communication: A Journal of Nature and Culture. Anders Hansen is a Senior Lecturer in the Department of Media and Communication, University of Leicester, UK. He has published extensively on media and the environment, including Environment, Media and Communication and the forthcoming Routledge Handbook of Environment and Communication (co-edited with Robert Cox). He is founder and ex-Chair of the IAMCR Environment, Science and Risk Communication Group, founding member and Secretary to the International Environmental Communication Association (IECA), and Associate Editor for Environmental Communication. David Machin is Professor of Media and Communication at Örebro University, Sweden. He has published extensively on visual communication and Multimodal Critical Discourse Analysis, such as Introduction to Multimodal Analysis, Global Media Discourse and The Language of War Monuments and a recent multidisciplinary edited collection called Visual Communication. He is co-editor for the international peer reviewed journals Journal of Language and Politics and Social Semiotics.